Wavy hair-grass is an attractive, short to medium height, slow growing perennial grass. It has fine needle like rolled leaves which build over time to form a loosely to densely tufted, clump or mat. It produces delicate fine flower heads with wiry flexuous branches in summer. 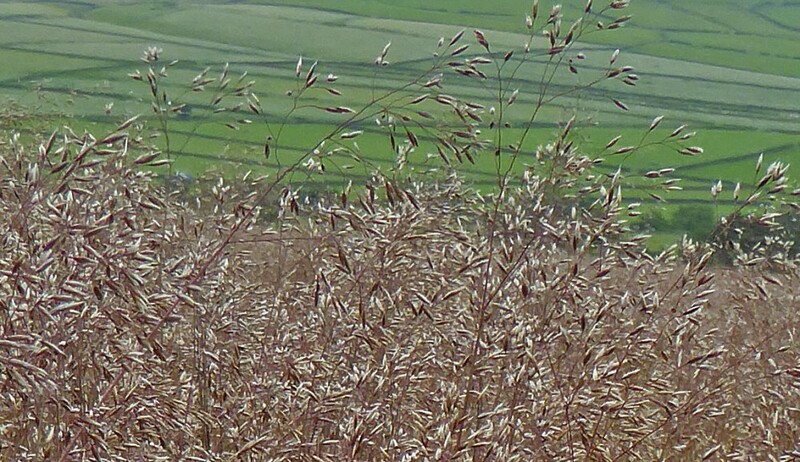 Wavy hair-grass is a characteristic grass of acidic, unproductive, nutrient poor, sandy or peaty soils. It occurs widely throughout Britain on acid heaths, moorland, hill-pasture and open woodland. It is most prevalent on drier free-draining sites, but not those subject to prolonged periods of drought. It also occurs in damp but not waterlogged habitats, often growing on top of better drained hillocks and tussocks. It is very tolerant of shade but not of heavy blanketing leaf fall from trees. It will tolerate light grazing and trampling and can survive in sheep-grazed woodland for example. It is a very slow growing but stress tolerant plant. If the particular combinations of conditions exist where it can succeed but other plants fail it can with time spread out vegetatively to form mats and can become quite dominant. Wavy hair-grass seed can be sown at any time of the year when soil conditions are suitable. In our experience it can be both slow and erratic in its establishment from seed so best sown as a component of a mixture where initial ground cover can be provided by other companion grass species. Where conditions suit wavy hair-grass it will assert itself over time. On most typical lowland fertile soils however it will not thrive and will be quickly out-grown by other more vigorous grasses and herbs . 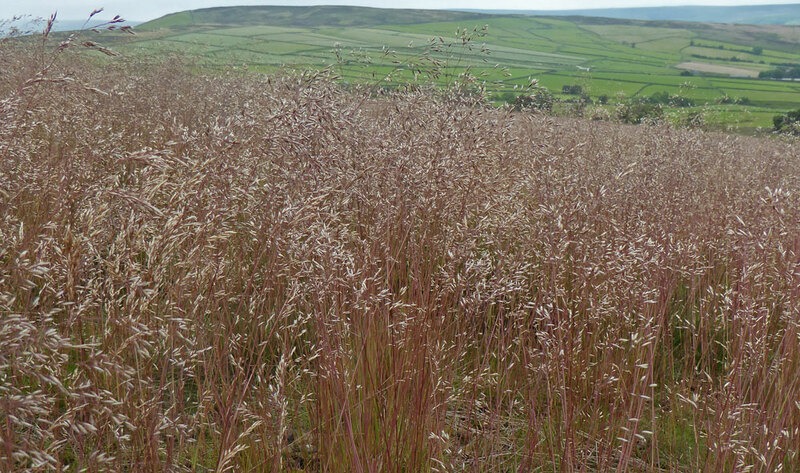 Wavy hair-grass is an attractive grass that can provide useful visual interest from a mixed sowing on difficult acid soils where the range of flowering plants which can also thrive are likely to be limited. 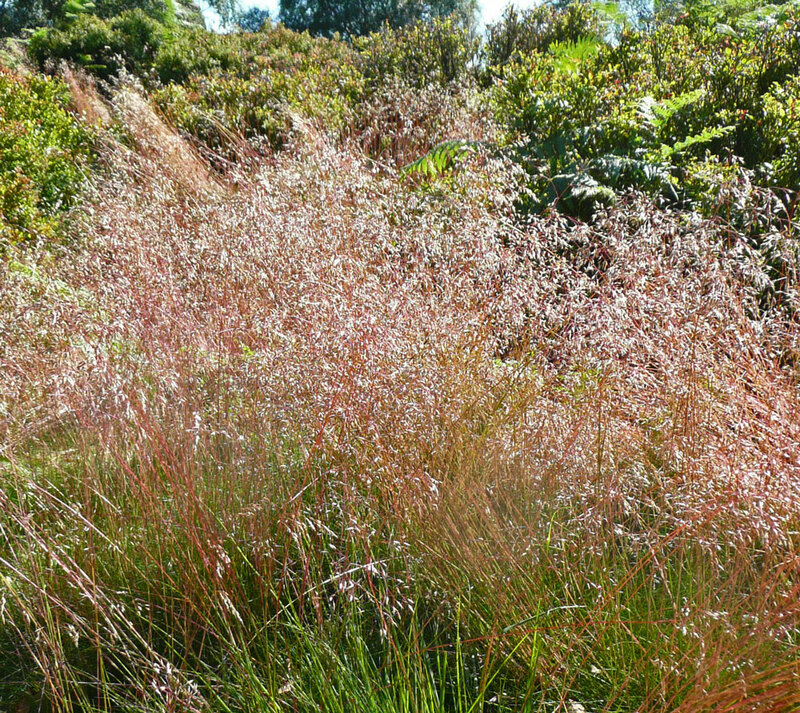 On the right soil established wavy hair-grass can produce a fine turf which is shade tolerant provided it is managed sensitively: not trampled or mown heavily and autumn leaf fall collected. Creating this on bare ground however, even on the right soil, can be a difficult and slow task as described above. Wavy hair-grass foliage is palatable to livestock but given its slow growth rate never contributes much for grazing or hay.